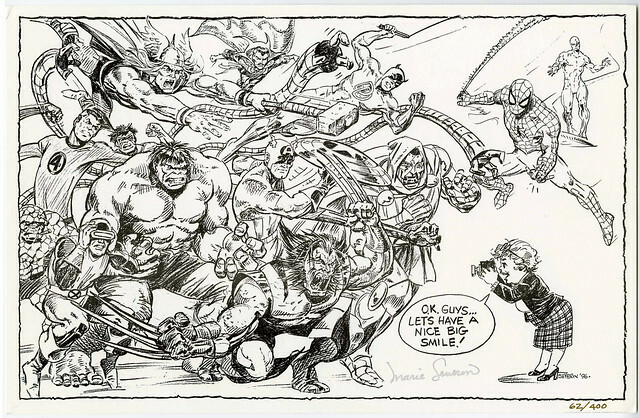 Here is a little gem I found on Heritage Comics, from Marie Severin in 1996! 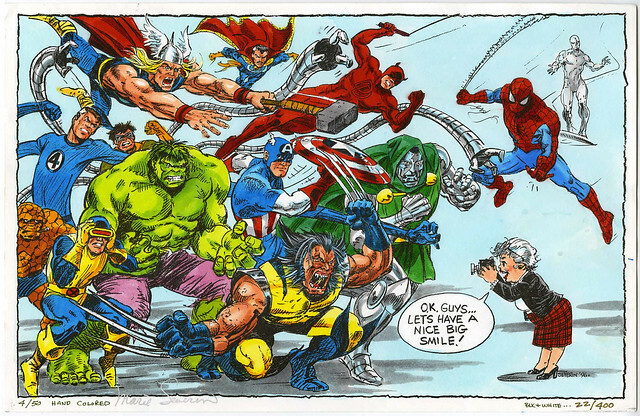 Mirthful Marie taking a picture of Marvel's superheroes, along with a couple of villains, too. Apparently this was a signed and numbered print of 400 copies? Marie colored it by herself. Here is the black and white edition. I have no idea who sold this, are there any Marvel fans out there who bought this when it was published? I think this piece is awesome and brings back all the fun memories of Not Brand Echh. Nuff Said!